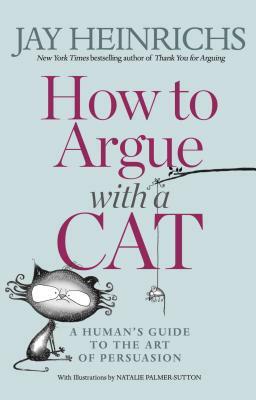 Learn how to persuade cats—the world’s most skeptical and cautious negotiators—with this primer on rhetoric and argument from the New York Times bestselling author of Thank You for Arguing! JAY HEINRICHS is the New York Times bestselling author of Thank You for Arguing who spent 26 years as a writer, editor, and magazine publishing executive before becoming a full-time advocate for the lost art of rhetoric. He now lectures widely on the subject, to audiences ranging from Ivy League students and NASA scientists to Southwest Airlines executives, and runs the language blog figarospeech.com. He lives with his wife and their cats in New Hampshire. NATALIE PALMER-SUTTON is an art director, illustrator, editor, animator, artist, designer and sometimes writer who lives with her lovely husband and lovely children in Buckhurst Hill, England.